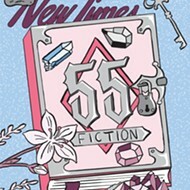 Fifty-five Fiction is once again upon us. We, at New Times, can predict the arrival of our annual literary competition with nary a calendar in sight. The anticipation begins in spring, with the slightest of mental twinges, followed by electric charges of excitement intermingled with panic. Masses of entries are on their way; many have already arrived, some as early as the day after the previous year’s deadline. It is thrilling to read something completely original, particularly when doing so requires a time commitment of 30 seconds or less. In fact, the entire competition is ideal for those who have either an extraordinarily short attention span or a phobia of commitment. Fifty-five words: What could be simpler than that? In addition to being commitment-phobes with ADD, winners can be braggarts as well. After all, Charles Dickens’ much-lauded A Tale of Two Cities famously begins, “It was the best of times, it was the worst of times, it was the age of wisdom, it was the age of foolishness, it was the epoch of belief, it was the epoch of incredulity,” in a rambling first sentence that encompasses a whopping 117 words. Wasteful Dickens. That’s two 55-word stories. John Milton commences Paradise Lost with a 54-word overview of the story he intends to tell, along with a pleading appeal to his patron muse for inspiration. A 55 Fiction writer could have told the entire story of humanity’s fall from grace and expulsion from Paradise within the same amount of space, and probably sketched an illustration of the entire debacle as well. But to earn the right to trash the literary giants, there are some rules you must follow. An awful lot of them, in fact, given that your entire story is begun and finished in the time it takes to sneeze. First rule, and this one’s basic, people: 55 words or less tell the whole story. If it’s longer, it ends up in a wastebasket. If it’s shorter, well, good for you. You’ve mastered the art of brevity. If, in the pursuit of a lower word count, you need to use contractions, go to town with them. We’re not going to tell you that you can’t, shouldn’t, wouldn’t, won’t, or couldn’t. Hyphenated words, however, are not considered one word. So if you’re going to wax poetic about “the blue-green sea,” remember that every time you do, you’re down four words. Also, initials are taken into the word count. J.K. Rowling is three words. Accepted acronyms, however, are considered a single word so if you want to tell a story about a member of the GOP who thought that she could see Russia from her domicile, well, GOP is one word. But if you’re going to re-tell a story that everyone has already heard, for the love of those of us who end up reading it, toss in a clever twist. The line between rules and advice may seem particularly fine, though it does exist. The rules must be adhered to or your delicately crafted entry will end up in the recycling bin. The advice may go unheeded by writers with a James Dean complex, but look where that got him. Please don’t use 55 Fiction as an opportunity to re-hash old jokes you first heard on the playground in elementary school. We all know that women can be doctors so if Timmy needs an operation and his father just died in a car accident, we know he still has one parent capable of performing the operation. Really, it’s insulting to try to pass something like that off as your original fiction. Also, we tend to receive a huge stack of “after all” stories. Minnie wets herself because she’s so excited to see her family. Last line: “After all, Minnie is a mouse.” Or Jack finds himself stuck in a tree until a friendly man in a big jacket uses a ladder to help him down. Last line: “After all, Jack is a kitten.” Maybe, just maybe, it’s possible to create an “after all” story the likes of which Dickens and Milton would envy, but we’ve yet to see it. Back to the rules. The title of your story is not part of the overall word count, but it still can’t exceed seven words. 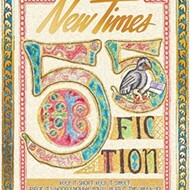 New Times must receive all entries by June 8, and the winning pieces will be printed in the paper’s July 2 issue. Submit as many stories as you like, but remember to include your name, address, and phone number on the same page as each entry, with a separate page for each entry. Also, submissions don’t have to be typed, but they’re much easier to read when they are. Wondering where to start? Well, it’s fiction. A story. Which means that you’re going to need a setting, at least one character (doesn’t have to be human), a conflict, and a resolution. Mind you, within these guidelines there is a lot of room for flexibility. Resolution doesn’t have to mean that everyone lived happily ever after and a character can be a disgruntled bottle of water or a tap dancing rock. Be creative. And count your words carefully. Arts Editor Ashley Schwellenbach won’t be able to read your stories this year because she’ll be in Morocco. Send cool clothes for warm Arabian nights to aschwellenbach@newtimesslo.com.